Sony Pictures Home Entertainment will release RENT: Filmed Live on Broadway on Blu-ray Disc and DVD on February 3, 2009. The Pulitzer and Tony Award-winning musical thrived for an impressive 12 years on Broadway, and on Sunday, September 7, 2008, Sony Pictures Releasing’s new alternative programming division THE HOT TICKET was there to capture the final Broadway performance. This special release is timed to the launch of the National Theater Tour of RENT, which begins January 2009 starring original Broadway cast members Anthony Rapp, Adam Pascal, and others. Both the Blu-ray Disc and DVD are loaded with special features including numerous original featurettes. Special Features Exclusive to Blu-ray Include: “Home” – A Behind-the-Scenes look at the theater that was transformed into the home for RENT; “Casting” – Bernard Telsey talks about casting the show for the past 12 years; and Jonathan Larson Performing Arts Foundation PSA. 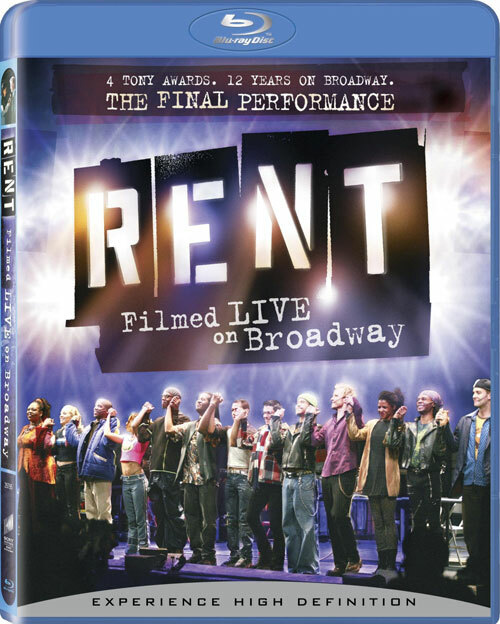 The Blu-ray Disc version of RENT: Filmed Live on Broadway is BD-Live enabled, allowing users to get connected and go beyond the disc via an Internet-connected Blu-ray player.